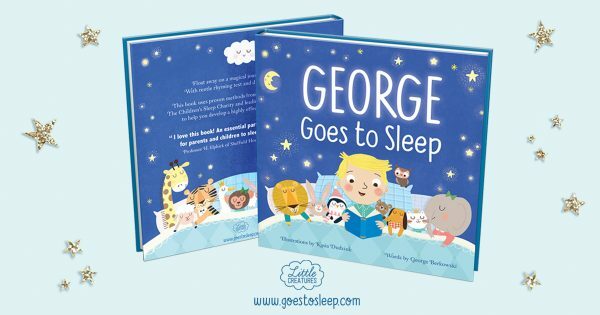 WIN a copy of the ‘Goes to Sleep’ book! We’re giving 10 lucky readers the chance to win a copy of Goes to Sleep, the personalised bedtime story featuring your child throughout. You can add your child’s name to the cover, select a girl or boy, their hair colour, skin tone and add a dedication along with their photo and preview each spread. The book uses proven methods from world renowned hospitals, The Children’s Sleep Charity and leading children’s sleep specialists, to help you develop a high effective bedtime routine. It’s even been proven to give you and your child an extra two hours of sleep per night – and who wouldn’t want that?! For sleep advice and to find out more about the whimsical book, please click here. To enter, simply answer the question and fill in the form to the left before the closing time of Monday 21st January at 3pm. Winners’ will be sent a postcard with a unique code on so that they can create and personalise their bedtime book for free. Love books.. Love reading to my little boy who’s 1..